Anthony A. Gonzalez, a native of San Antonio, Texas has been painting professionally for the past 30 years. He currently works from his studio located north of San Antonio in the Texas Hill Country. His paintings extend across many traditional subjects in landscape, still life, portraiture and figurative. 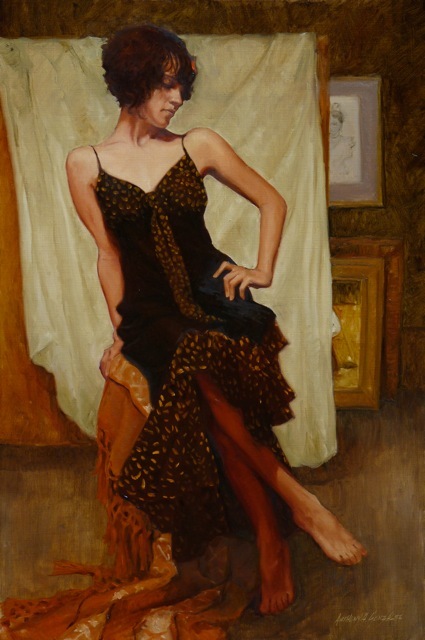 He works primarily in oils and his work is representational with the female figure as the primary subject matter. His work is focused on the expressions and attitudes of women. The models he hires for his paintings must be able to express these attitudes. Gonzalez says, "Each women has a uniqueness of her own and with the use of form and color my goal is to capture her expression and attitude and convey that to the viewer. Their expressions and attitudes present me with endless creative possibilities and this is what inspires me to paint." In addition to his main body of work, Anthony accepts portrait commissions: most notables have been San Antonio mayors, Howard Peak and Nelson Wolff. In his portraits he also strives to capture the personal expressions and attitudes of the individual to make it unique. 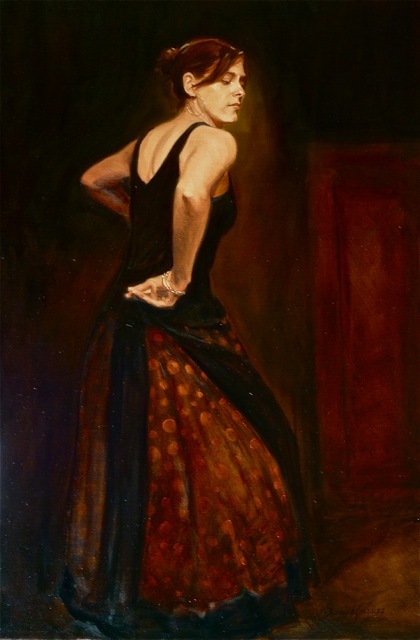 He is featured in the Best of Portrait Paintings, published by North Light Books and the December 2011 issue of American Art Collector Magazine. His works have been shown nationally and internationally and are in collections in the United States, England, Europe and Mexico. Viewers of his work often praise the natural expressions captured in his paintings. And the technical skill of his work and his sense of beauty are greatly admired by collectors and fans. Anthony takes every opportunity to expand and develop his skills and personal style. He draws and paints from life often to continually perfect his skills. He attended The Art Institute in Texas and Academia Atrium in Madrid, Spain and taken numerous workshops with nationally know artists although much of his technique is self-taught. Anthony shares his knowledge and skill with other aspiring artists and students by conducting demonstrations in oil, drawing and watercolor. He also puts his energy into conducting workshops regionally, nationally and internationally. His mission is to paint and enjoy the passion of painting expressions and attitudes and hope that others will enjoy the results of that passion.